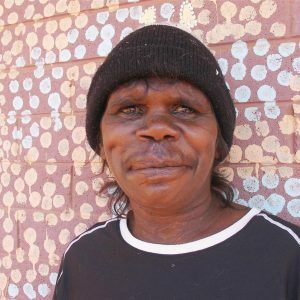 Shirley is a Warlpiri artist who currently paints for Warlukurlangu Art Centre in the Northern Territory. Warlukurlangu Artists Aboriginal Corporation of Yuendumu was incorporated in 1986. Warlukurlangu is a not for profit organisation that has more than 600 members, all of whom are Indigenous artists. It is directed by an executive committee of eight men and eight women representing all the 'skin groups'. It meets regularly to set policy, make decisions about the organisation and direct staff.